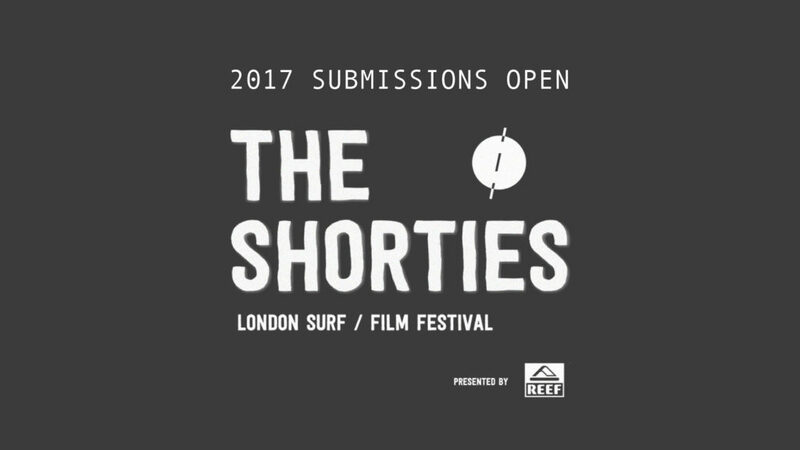 Home » 2017 London Surf Film Festival Shorties short film competition is on! 2017 London Surf Film Festival Shorties short film competition is on! Entries for the revered shorties category at the LSFF are now open! Submissions to the 2017 London Surf / Film Festival x Reef Shorties short film competition are open. Entry forms are available online here. Now in its 7th year, this prestigious annual event has fast become the showcase for homegrown filmmakers and surf creatives. Until 10th September filmmakers from or based in Britain and Ireland are invited to submit their short films of up to 5 minutes in length that explore any aspect or angle of surfing through documentary, comedy, action, arthouse, animation or anything in between. It’s not about whether your waves are big or small, it’s about the way you chose to shoot them. Or don’t. After all there’s more than one way to tell a surf story. Shortlisted films will be showcased on the big screen this October as part of the 2017 London Surf / Film Festival x REEF programme. They will also be considered by the screening panel, comprised of some of the most influential names in surfing, for awards including LS/FF Shortie of the Year, Best British Film and Emerging Talent. 19– 21 October the 7th Edition of the annual London Surf / Film Festival presented by REEF hits the UK, bringing to the capital the very best in international surf / film / art / culture. Showcasing surfing’s hottest releases, from underground hits to award winning premieres London Surf / Film Festival is a celebration of contemporary surf culture. Hosted at the iconic Regent Street Cinema, W1 and accompanied by gallery shows, music, talks, workshops pop ups and more, LS/FF is the must attend event for purveyors of the glide. www.londonsurffilmfestival.com.